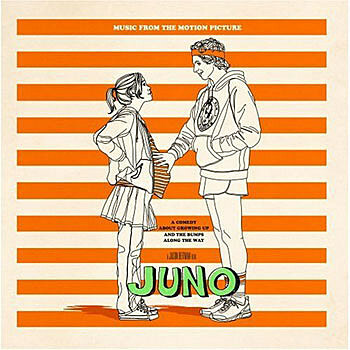 To save space, I only listed some of the 19 tracks found on the Juno soundtrack – mainly to get across the point that Kimya Dawson dominates that CD. She’s on there solo, she’s represented by The Moldy Peaches, and Antsy Pants is her group too. The movie (that I hope to see soon) is out now and stars people like Jennifer Garner and Jason Bateman. 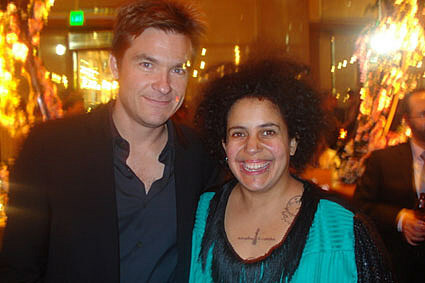 Kimya got to meet Jason at the premiere or something…..
Lots of movies to see right now: Juno, Walk Hard, No Country For Old Men, The Great Debaters, There Will Be Blood, and maybe even I’m Not There. Kimya also appears on the new Tiny Masters of Today album (on a song that is streaming at MySpace), and on the new album of a band called The Terrordactyls (song linked as an MP3 on the top of this post). And she’ll be in NYC soon…..
more dates TBA? I don’t know.